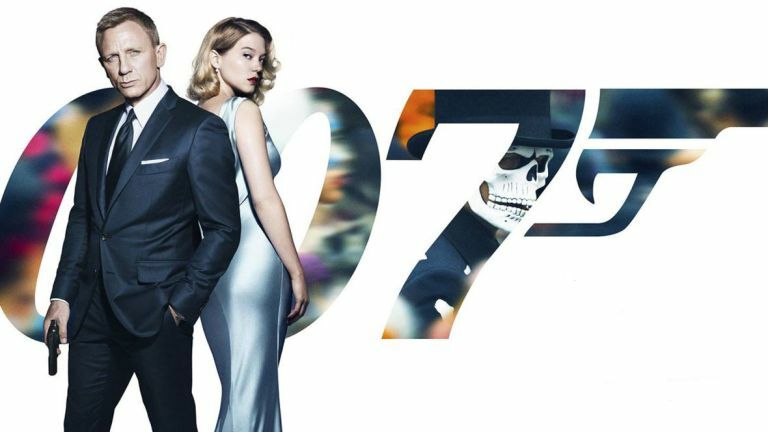 Travelling all over the globe with huge action sequences, stunning cars, beautiful women, amazing suits and one Daniel Craig means Spectre has all the parts of a classic Bond. Craig has cemented himself as Bond, he's never looked more at home in the role. Those still running the Daniel Craig Is Not Bond website are going to be really embarrassed this time. The Bourne-esque action mixed with Craig's smouldering boxer-like looks has been set in stone as one of the defining eras for the character and won't be forgotten anytime soon, even if Craig leaves. Spectre certainly looks back to older Bond more than Craig's other outings. It mixes the old stuff with the new era and adds a sprinkling of the surveillance paranoia into the script. Spectre starts with the best opening to a Bond since that jump in The Spy Who Loved Me. Sam Mendes, who has returned to the director's chair after the success of Skyfall, kicks things off with one shot that must last over five minutes. We follow a masked Bond through the streets of Mexico City during the Day of the Dead festivities and it's a wonder 007 has never been here before. We see little flickers of Live and Let Die throughout with skeleton costumes and masks filling the streets. It's not long until the party stops though. The real action begins as Bond chases his target through the crowd, falls through a collapsing building and culminates in a helicopter doing a loop the loop in Zócalo square. Then it's straight into Sam Smith's Writing's on the Wall. I'm certainly not a fan of the title track but it fits in much better with the actual film than Smith's video. For the first time the credits feature those who haunt Bond's past from Casino Royale up to now. It's then back to London, but this is Bond. We also go over to Rome, back through Austria, down to Morocco and all the way back to England's capital. And it all culminates in a big, explosive finale at a surprising landmark. The supporting cast all shine as they did in Skyfall. Wishaw gets a lot more to do here as Q, while Harris and Fiennes back him up well as Moneypenny and M respectively. Dave Bautista's Mr Hinx harks back to the Bond henchman of old, employing his physical size rather than quick wit and an idea to outsmart the world's number one spy. Bautista gives Craig an incredible run for his money in a car chase through the back streets of Rome. It features that beautiful Aston Martin DB10 on Bond's team and the Jaguar Z-X75 for Mr Hinx. The Jag is a staple Bond car, but there's no way of outshining that Aston Martin. It's the classic, and the new DB10 model floats around the city like a dream. But that's not the only car in Spectre, and if you're a fan of motors it will not disappoint. Then there's Lea Seydoux – she's the most complex and interesting Bond woman since Vesper in Royale. She's strong and proves an integral part of the story for once - plus Madeline Swann actually manages to sound like a real name. Christoph Waltz is the shining light, as predicted. He's playing the first Bond villain to do all his work from a tablet (OK, there was Elliot Carver we guess...) in what proves to be a post-Snowden thriller. A lot of the inspiration here comes from the Wikileaks surveillance revelations that have taken up the headlines in recent years. It proves fascinating to see these characters in this world and certainly fits in with the modern, gritty Bond universe. Craig looks the part with his new collection of stunning Tom Ford suits. There's a particular outfit Bond dons in the Moroccan desert that shows exactly how to wear a suit and will inspire men the world over to sort out their wardrobes. The less said about that white dinner jacket though, the better. Spectre isn't without its faults though. Skyfall was a gorgeous addition to the franchise on first watch, but it fell down on multiple viewings. Small plot holes and tenuous links between the characters made the costume of a five star film fall away. I do feel after the hype has died down Spectre may do the same. Product placement is a major element of the Bond franchise – it has been ever since Connery drank that first Red Stripe back in 1954. Don't expect anything as bad as the Sony placements in Chappie but every TV screen, phone or laptop is slapped with the Sony logo like a dystopian future where the Japanese company has taken over everything. Bond is packing the Sony Xperia Z5 inside that suit, a much better fit than the Xperia T in Skyfall. But it does still feel a little out of place that Bond would have a Sony phone. I'd kind of expect Bond to have a Blackphone now for some extra security. Prepare yourself for the long haul as well; it's the longest Bond film of all time at two and a half hours. Maybe go for the small Coke to ensure you don't miss anything. I don't particularly feel that damages the film – it could maybe do with losing 10 minutes or so but it's hard to judge where the excess fat is to cut out. You need to see Spectre. If you're a die hard fan you'll love the nods and the new directions Mendes has taken Craig's interpretation of the iconic character. If you're a casual fan, I'd recommend doing your homework to get the full Spectre experience. You're going to need to see the full Craig era at least as Spectre goes all the way back to 2006's Casino Royale. It's probably best to go in with at least a passing knowledge of You Only Live Twice and the other Spectre filled adventures though. Spectre does feel like a send off for Craig. If it is, it's an end of an era that reinvented Bond for the better. Craig is contracted for one more but recent comments suggest he'd rather not do it. And as much as I'd love to see Mendes and Craig pair up again to make it a trilogy, I don't think we're going to get it. But if it's the final curtain for Craig, at least Spectre is more Skyfall than Quantum of Solace.